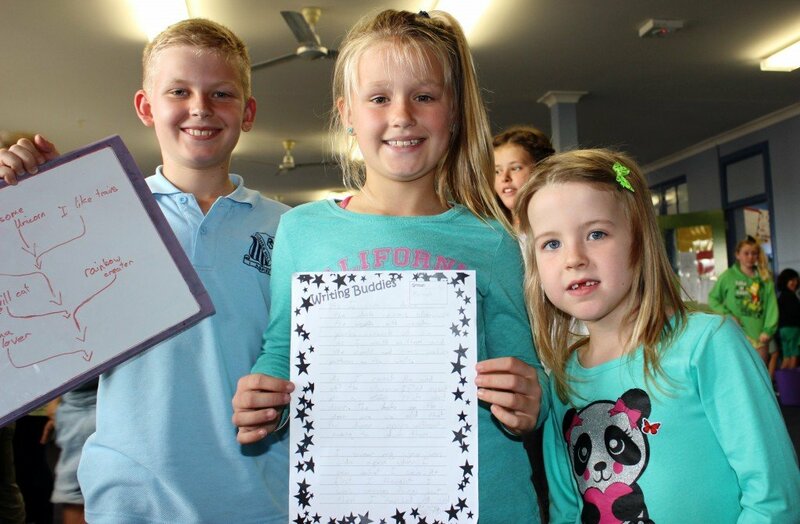 This week in writing buddies, students were given an imaginative stimulus that asked the questions – why was there a secret door in the back of her closet? Why had it just opened? And what could possibly be… down the steps? Our groups discussed a great variety of creative ideas and developed some excellent writing. It was impossible to choose only 1 excerpt to share… so here are 3. 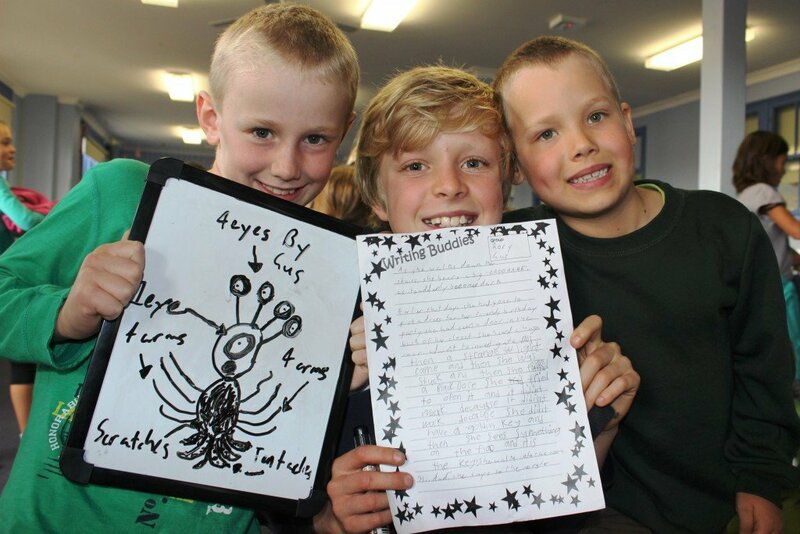 Well done to Lachlan, Max and Rory whose group’s work is published below. I slowly opened the door to my closet and there were stairs. I walked down them and Mrs Bowman was there, eating chocolate and dancing to ‘We Are Family’ and hitting some fab poses. Suddenly Dan and Rory joined in and started being pose critics. “Move the hips left!” said Dan. “Put your hands up,” said Rory. They all started dancing. Suddenly, they teleported to a cinema but it was empty and dark… then boom, Just Dance started playing and they continued dancing. They suddenly teleported back to school and Max was reading a story during writing buddies! 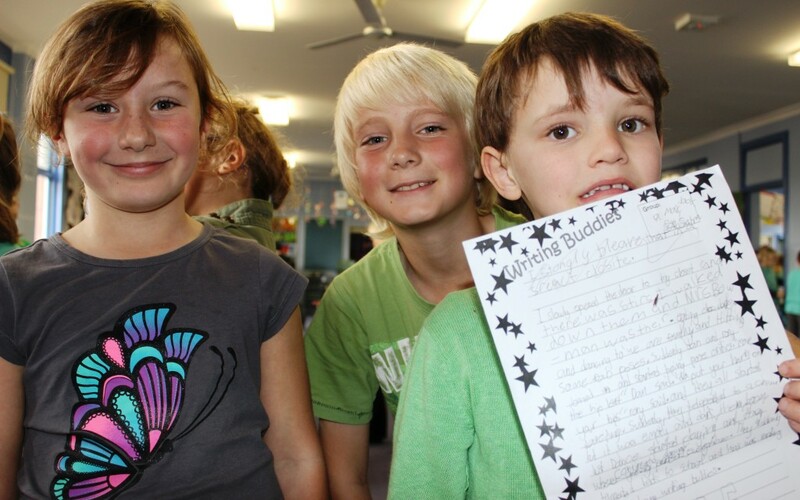 Written by Max, Jack and Sahra. As I walked down the dark ominous staircase, the old planks screeched at me as I walked across them, the mould and moss making patterns on the walls. As I reach the end of the staircase, I find myself at a thick steel door. The locks on the door are so old that the door opens without having to unlock them. As she walks down the stairs, she hears a big ‘RRROOAAARRRR’ and it suddenly becomes dark. Earlier that day, she had gone to pick a dress for her friend’s birthday party and she had found a door in the back of her closet. She heard noises and went to investigate. A strange light came and then she was stuck. She saw a black door and tried to open it but it wouldn’t budge. ‘RRRROOOAAARRR’. She needed a golden key. She sees something glimmering on the floor – it the golden key! She walks into the room. “Hi, Dad,” she says to the monster. Written by Rory, Gus and Riley.